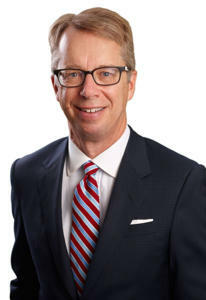 Peter Lukasiewicz (Gowlings): "Our merger with WLG demonstrates that a Canadian law firm can enter the international realm"
Managing Partner of Gowlings, Peter Lukasiewicz speaks to Leaders League about the merger between the Canada based firm Gowlings and British based firm Wragge Lawrence Graham (WLG). Leaders League. What does this merger mean for your current clients? Peter Lukasiewicz. The feedback from our clients on our combination with Wragge Lawrence Graham & Co (WLG) has been extremely positive. Before our public announcement, our partners spent an entire day on the phone personally contacting clients. We estimate that we made roughly 5,000 calls in one day! As Gowling WLG, we will be nearly doubling our global presence, with offices in 18 cities around the world. This will allow us to provide our clients with a broader range of services and expanded geographic reach. We’ve already seen new developments happen in the last 2 weeks, and have received inquiries from clients that we never expected. Once-domestic clients are now engaging us with problems they have on the other side of the world. Overall, Canadian businesses like working with Canadian law firms — they are happy to see us grow when we can now provide services for them not just in Canada, but in many other locations around the world. Leaders League. How do you think this merger will impact the Canadian market? P.L. The impact of our announcement in the Canadian market was significant. It demonstrated to our clients and our colleagues that a Canadian law firm can enter the international stage and still maintain a leadership position. With respect to our friends Fraser Milner Casgrain, who joined Dentons, or Davis, who merged with DLA Piper, the management of these firms is not necessarily centered in Canada now because the international firms were substantially larger than the Canadian ones. The difference in what we have done with Gowling WLG is that we, with WLG, have set the strategy for the new firm in terms of expansion around the world, as equal partners. I think this has certainly created a positive reaction from our colleagues in Canadian law firms because it demonstrates that a Canadian law firm can enter the international realm while still maintaining a leadership role. Leaders League. How important is the “Seven Sisters” notion; do you see yourself as number 8? P.L. The term “Seven Sisters” was coined about 15 years ago. Candidly, I would say that the term is not much used in Canada anymore. In the Canadian law firm marketplace, clients hire law firms based on expertise, quality of service and — increasingly — on geographic reach and diversity. I really think that a notion like the “Seven Sisters” is something of the past and that in the future, a firm’s ability to deliver consistent legal services beyond Canada and in other jurisdictions will be a significant differentiator. Leaders League. Gowlings’ chairman, Scott Jolliffe, stated that this merger will be a ‘coming together of equals.’ How will you go about blending the two different managing styles from each firm? P.L. In our combination, we have used a UK corporate vehicle called a “company limited by guarantee” (CLG), in which Gowlings will continue as a Canadian-based partnership and WLG will continue as a UK-based partnership. Therefore, we will each be governed by our own regulators. Since the CLG board will consist of 3 representatives from Gowlings and 3 from WLG, the direction of the firm will be equally influenced by both entities. In January 2016, we will each change our firm name to Gowling WLG, and will be fully aligned in terms of how we serve our clients. There are a few structural differences in our two firms, but these differences are in large part due to each firm operating within its own marketplace and legal environment. However, the management styles of our firms are very similar — which makes us very compatible, and will enable us to fully grow our practice in international sectors.